H.B. Fuller has earned the coveted global Ethics Inside® Certification from the Ethisphere Institute, a leading international think tank dedicated to the research and promotion of best practices in corporate ethics and compliance. Recent studies show up to 75 percent of the value of an organization is based upon its intangible assets — the most significant being ethics. 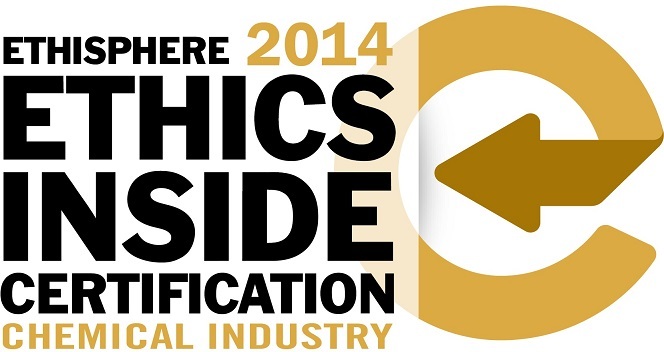 The Ethics Inside® Certification recognizes H.B. Fuller’s strong culture of promoting responsible, sustainable business practices and stature as an ethical supplier. Ethisphere conducted a comprehensive review of H.B. Fuller’s ethics, citizenship, corporate responsibility and governance programs and practices. H.B. Fuller demonstrated that it has established systems to reasonably detect and prevent ethical and compliance violations, to ensure good governance and to promote corporate responsibility. The Ethics Inside Certification demonstrates H.B. Fuller’s commitment to maintaining the highest standards for ethics, citizenship, corporate responsibility and governance.